Learning in Retirement’s Late Spring 2018 Session will feature ten one-time, 2-hour evening lectures throughout May. To view a PDF version of Learning in Retirement’s May 2018 Evening Lectures brochure, please click here. Spirituality and Religion: What are They? What’s the Difference? Is There Still Hope for a 2-State Solution? As pessimism saps energy in the twilight of our lives lived in the twilight of a civilization, what is the antidote? This lecture will probe the power of positivity encoded in words. Following an introduction to the keyword “Resiliency”, discussion will follow, with participants contributing keywords that engender resiliency in ourselves and in society. The instructor/calligrapher will then calligraph all the participants’ keywords onto a large 2.5 foot by 8 foot composition. The artwork will be a continuation of RIA (Research in Art) 2018 theme Keywords for Change by Petra Halkes. Lecturer biography: H. Masud Taj is a protégé of Master Calligrapher David Hosbrough. His calligraphy is a cross-cultural fusion of the Italic hand with Arabic ascenders/descenders, as he is also an exponent of 3-D Arabic Masonry style that he has presented at the Art University of Isfahan, Iran. 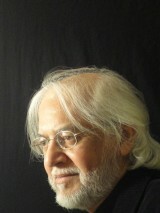 He has exhibited in group and solo shows in Mumbai and Ottawa. His book Embassy of Liminal Spaces, with thirty-three calligraphic plates, was his second book with calligraphy to be added to Carleton University’s Archives and Research Collections SPC. It was also inducted into the Library of Parliament 2016. The observations of the collision of two neutron-stars on August 17th is probably the most important single astronomical event since Galileo first saw Jupiter’s moons in 1608. This talk will tell the (sometimes confusing) story of the lead-up to the event, what we learned, where we go from here, and where your wedding-ring came from! Lecturer biography: Peter Watson infuriated his father by reading far too much science fiction as a kid. He joined Carleton University in 1974, becoming Chair of the Physics Department and then Dean of Science. He has worked at CERN in Switzerland, Oxford, and Edinburgh. In addition to a 40-year research career in theoretical physics, he has taught many courses at all levels, many involving innovative teaching methods. 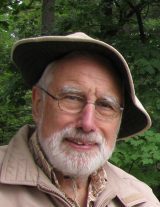 Retired in June 2008, he has continued to teach, give public lectures, and do research. He was recently one of the co-winners of the 2015 Breakthrough Prize in Fundamental Physics. More information is available at http://people.physics.carleton.ca/~watson/. What does it mean when someone says, “I’m spiritual but not religious”? How do Spirituality and Religion overlap? How are they different? What is Spiritual But Not Religious (SBNR)? And what is the future of “Religion”? Tom Sherwood reviews some of the history and current use of the terms, and suggests some of the ways that both religion and spirituality may influence our lives and our society in the next generation. Lecturer biography: Tom Sherwood has two sets of professional credentials. As an ordained United Church minister, he had a full-time clergy career in parish and campus ministry (including as Carleton University’s Chaplain, 1999-2009). As a part-time university instructor since 1982, he has taught first-year to MA-level courses in anthropology, sociology, and religion at Carleton University and Saint Paul’s University. 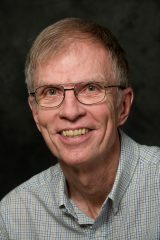 In 2009, he was appointed the McGeachy Senior Scholar in the United Church of Canada, and commissioned to undertake a national study of the spirituality and values of Canadians born in the 1980s, published as Listening to The Echo – young adults talk about religion, spirituality, God, gods and their world (FriesenPress, 2016). His research has also been published in several articles and book chapters, and presented in documentary theatre projects: The god Monologues (2013), godVERBATIM in the 2014 Ottawa Fringe Festival, O god in the 2015 Fringe, and Trans-Script in 2016-17. He continues to teach and supervise graduate students at Carleton University. In 2017-18, he holds the position of Dean of the Ottawa School of Theology and Spirituality. This lecture explores Canada’s official First World War art as art history and war memorial. Better known and recognized as an accessible and meaningful visual record of the conflict, over the past 100 years, Canada’s official art has struggled to retain any substantive position in Canadian art history. Does it matter? Lecturer biography: Laura Brandon is the former Historian, Art and War, at the Canadian War Museum and currently a Research Associate. She is the author of the award-winning biography, Pegi by Herself: The Life of Pegi Nicol MacLeod, Canadian Artist (McGill-Queen’s, 2005), Art or Memorial? The Forgotten History of Canada’s War Art (University of Calgary Press, 2006), Art and War (I. B. Tauris, 2007), and co-author of Canvas of War: Painting the Canadian Experience (Douglas and McIntyre, 2000). She has written and lectured extensively on contemporary and historical Canadian and international art and artists for almost 40 years and curated more than 45 exhibitions. Her award-winning show “Canvas of War” toured Canada from 2000 until 2004, and was seen by 400,000 visitors. Laura Brandon has a BA in History and Art History from the University of Bristol, England, an MA in Art History from Queen’s University, Canada, and a PhD in History from Carleton University, Canada, where she is currently an adjunct research professor in both the School for Studies in Art and Culture and the Department of History. She is a Member of the Order of Canada. The key concern of most East-Asian religions, contrary to Abrahamic religions, is not about identification. Therefore, statistic methods of religious phenomena require a different approach. More attention should be given to practices rather than identification. By introducing alternative categories, we can better map the religious phenomena in China and East Asia. An asymmetrical concave curve is developed through the observance and analysis of population and tension across different religious/spiritual niches. Then, a comparison can be made between the asymmetrical concave curve and the bell-shaped curve, the hypothetical distribution of tension across religious niches in the West. Lecturer biography: Liyong Dai is an associate professor at the School of Sociology, Central China Normal University, and an instructor at Confucius Institute, Carleton University. His research centres on modernity, religion, and religious pluralism. Dai is the author of Modernity and Chinese Religions (Beijing: Chinese Social Science Press, 2008). Dai received his BA in Politics from Jiang Han University in 1989, an MA in Philosophy from Wuhan University in 1995, and a PhD in Religious Studies from Renmin University of China in 2006. He spent two years as a post-doc at the Berkeley Center for Religion, Peace, and World Affairs, Georgetown University, USA (2007-09). Dai is the author of a number of essays, the topics of which range from sociology of religion, comparative religions, Confucianism, Chinese Buddhism, Philosophy, and Mao Zedong. Romance, escapism, beauty, athleticism – those are ballet’s acknowledged fortes. But comedy? Surprisingly, there are more hilarious moments in ballet than you might expect. Discover what you don’t know you’re missing. Lecturer biography: “Canada’s Word Lady”, bestselling and award-winning author and founding editor of the Canadian Oxford Dictionary, a Canadian bestseller for over a year, Katherine Barber, is an authority on English usage, particularly in Canada. She is known to legions of fans for her knack for making word histories lively and entertaining, and her books Six Words You Never Knew Had Something to do With Pigs, a captivating romp through the history of the English language, and Only in Canada You Say, were Canadian bestsellers. An ardent and knowledgeable ballet fan, she teaches very entertaining ballet appreciation courses and takes ballet lovers on ballet-themed holidays around the world. Visit her popular blog about language at: katherinebarber.blogspot.com. Do you have a passion for both travel and the written word? Many people want to write about their travels but don’t know where to begin. To be an effective travel writer you must lead the reader into the wonder of the place you’re describing, always remembering that your experience can only be conveyed through details. We’ll discuss ‘finding’ the story and how this isn’t something you can anticipate before leaving; travelling for a story as opposed to travelling for travel’s sake; and how to craft your stories using techniques borrowed from fiction – dialogue, description, and character development. Learn how the ‘quest’ makes for a good travel story; the various types of travel writing; how to begin your stories to catch the reader’s (and an editor’s) attention. Finally, we’ll discuss publishing tips in today’s changing market. Bring a notebook and pen for some writing exercises. Lecturer biography: Laurie Gough is a journalist and award-winning author of three memoirs: the newly- released, Stolen Child: A Mother’s Journey to Rescue Her Son from Obsessive Compulsive Disorder (Dundurn); Kiss the Sunset Pig: An American Road Trip with Exotic Detours (Penguin); and Kite Strings of the Southern Cross: A Woman’s Travel Odyssey (Random House), shortlisted for the Thomas Cook Travel Book Award in the U.K., and silver medal winner of ForeWord Magazine’s Travel Book of the Year in the U.S. Over twenty of her stories have been anthologized in literary travel books. She has been a regular contributor to The Globe and Mail, and has written for The Guardian, The L.A. Times, Maclean’s, The Walrus, USA Today, salon.com, Huffington Post, The National Post, Canadian Geographic, among others. 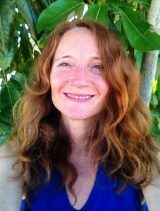 She has her Bachelor of Education and Honours BA in English and has been teaching memoir and travel writing for twenty years. For further information see: www.lauriegough.com. At a time when monuments and historic spaces figure prominently in public discourse, some sites exist in relative obscurity. Montreal’s Ship Fever Monument, or the Black Stone, is a poignant example of this. One of Canada’s oldest monuments, this site commemorates thousands of Irish Famine migrants who died as a result of the 1847 Typhus Epidemic. This site, however, does not have any official designation and lies, unbeknownst to many, on a busy highway. Regularly threatened by municipal development, its complicated history helps illustrate the issues around how we commemorate, what is prioritized, and what is forgotten. 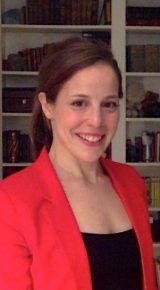 Lecturer biography: Emily Guy holds a BA in Canadian Studies (McGill), an MA in History (Memorial) and an MEd in Teaching and Learning (University of Ottawa). 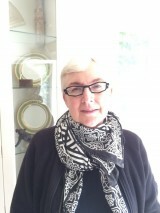 She has extensive experience in research and writing, specifically in the field of public memory and commemoration. Her research interests have stemmed from her experience living in Montreal, St. John’s, and in Ottawa – especially with respect to how culture and identity influence how history is taught and perceived. Emily is an enthusiastic and energetic instructor, with a keen interest in discussion and individuals’ stories. 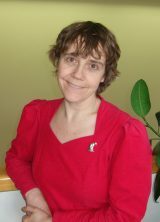 Currently, she is working as a Historical Researcher in Ottawa. Hebrew and Yiddish words have enriched the English language for much longer than you may think, and continue to do so. From messiah to maven, sabbath to schnook, English wouldn’t be the same without its Jewish heritage. Whether you are familiar with Hebrew and Yiddish or not, this lecture will open your ears to an important source of English vocabulary. In a dramatic departure from historic policy, US President Donald Trump recently declared the USA is no longer tied to a 2-state solution to the Israel/Palestine conflict. He said he would be open to “any solution” which would satisfy the two parties. For the last 25 years, the international community has assumed that the only hope for resolution of the conflict between Israel and the Palestinians has been a peace process leading to two independent states – one for Jews and one for Arab Palestinians. It is also the policy of the Canadian government (and all of Canada’s federal political parties). But on and off discussions between Israel and the Palestinians, under American auspices, have failed repeatedly. Many feel that that the continuous construction of Israeli settlements in the Occupied Palestinian Territories has put the “2-state solution” in imminent danger. Is there still hope for a two-state solution? And even more importantly, could such a solution bring peace to the region? Lecturer biography: Peter Larson is the Chair of Canada Talks Israel Palestine (CTIP), a Canadian human rights organization focusing on the Middle East. His professional career included periods at the Public Policy Forum, the Conference Board of Canada, Le Droit, and as a consultant to labour unions and federal government departments and agencies. For the last 10 years, he has taken a particular interest in human rights issues in the Middle East, visiting Israel, Lebanon, Iran, Jordan, Egypt, and the occupied Palestinian territories of the West Bank and Gaza. He has also led many trips to Israel/Palestine for Canadians interested in gaining a deeper understanding of the complex Israel/Palestine issue. He is a frequent lecturer for church and labour groups, retiree associations, and service clubs. His presentations are appreciated for being fact-based and balanced. He is also the principal author of a weekly series of articles on the Middle East to be found at CanadaTalksIsraelPalestine.ca. Canada’s 150th anniversary has been an opportunity for Canadians to reflect on the history of our often conflictual relations with the Indigenous peoples who had been living here for thousands of years when Europeans arrived. The tragedy of the residential schools, the Missing and Murdered Indigenous Women and the history of broken treaties have led many to see the necessity of “Truth and Reconciliation” between Indigenous Canadians and those of more recent settler extraction. In historic Palestine, the arrival of masses of European Jewish settlers also caused pain, displacement and suffering for Palestinians who had been living in that area for thousands of years. This evening lecture will examine the Truth and Reconciliation process in Canada and its applicability as a way of dealing with the seemingly irresolvable Israel/Palestine conflict. The lecture will be jointly delivered by Peter Larson, Ph.D. and Barbara Hill-Dumont, an Anishinabe elder. Lecturer biography: Sister Barbara Dumont-Hill, a First Nation Algonquin, was born on the Kitigan Zibi Anishinabeg Reserve. She is the tenth of 13 children, born to courageous Algonquin parents and she is descended from a long line of Anishinabeg. Barbara is Turtle Clan and has been following the red road for over 30 years. She has been working with several organizations including serving as a Grandmother with the 2015 Walking With Our Sisters memorial installation in Ottawa, with the RCMP Circle for Change, and most recently as Elder adviser to the Canadian Department of Justice legal team working with the National Inquiry into Missing and Murdered Indigenous Women and Girls. Barbara is intent on educating Canadians about Indigenous history as a way to promote reconciliation. She continues to deepen her culture by studying her language, drumming and singing the songs that honour her ancestors.